My husband and I discovered that we really love tuna steaks – ahi tuna, albacore tuna, yellowfin tuna – you name it, we love it. However, unlike much of the world, we don’t like tuna tar-tar, which is pretty much raw tuna. We love it grilled – all the way through. 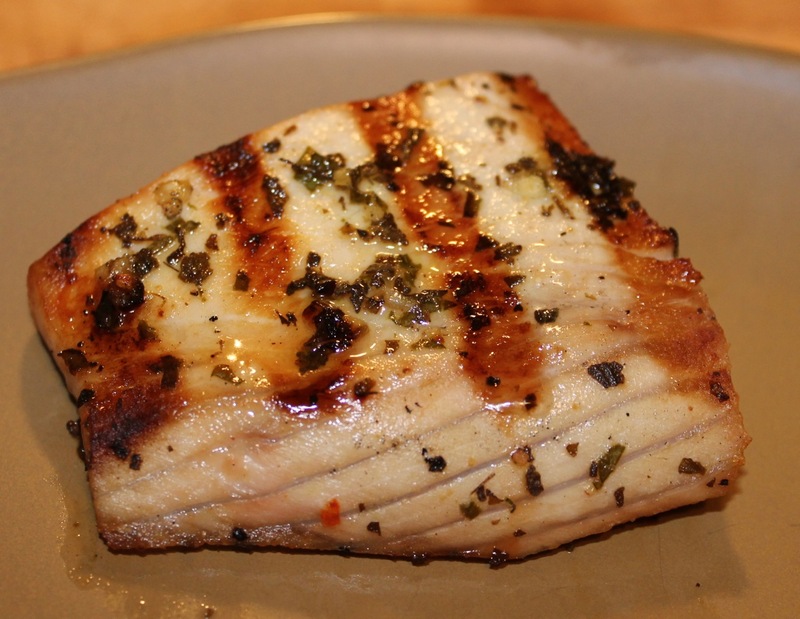 When cooked all the way, tuna really can be compared to eating a pork chop – or at least that’s what we think! 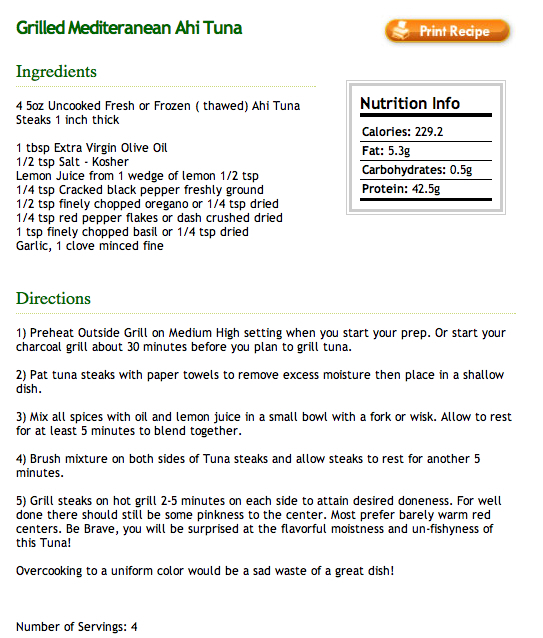 Last night (Saturday, April 21), we dined on a wonderfully simple recipe my husband found on the Internet called Grilled Mediterranean Ahi Tuna. Although it didn’t have very many ingredients, it had a lot of flavor. 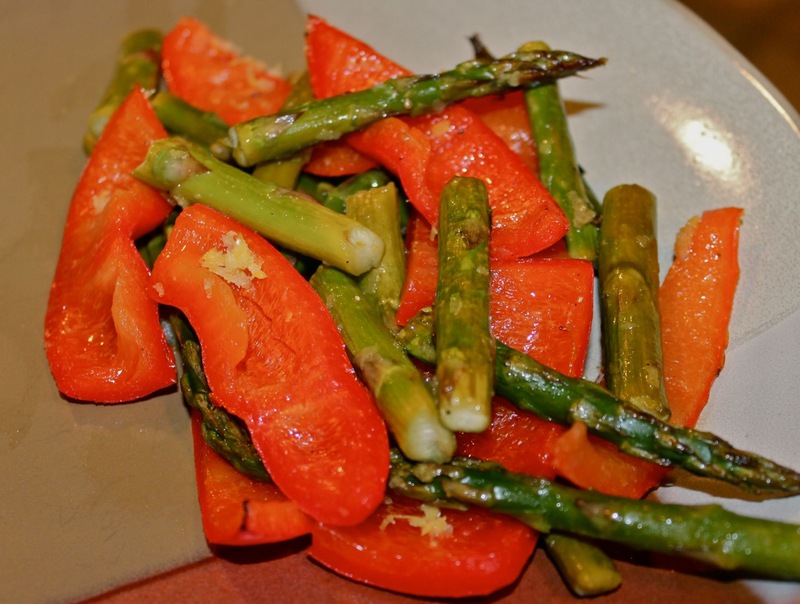 We paired it with a Weight Watchers recipe, roasted asparagus and red peppers. 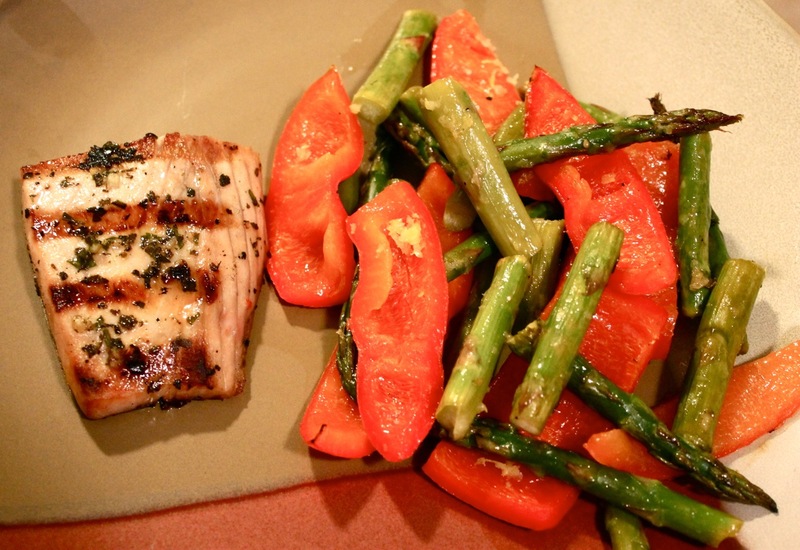 Again, simple, but oh-so-flavorful! Below are pictures of our meal and the recipes. Enjoy! Celeste, its me kelly. I have tried to find you and friend you on WW unsuccessfully. I joined WW about 5+ weeks ago after thinking about it for so long and watching your success. Ive lost 17lbs and am thrilled. I am kelly smith (pugs not drugs, photo) on WW, my blog is food addict. I hope we can connect. Good for you on the bikini action!!! your are fantastic. Previous Previous post: What did I do?